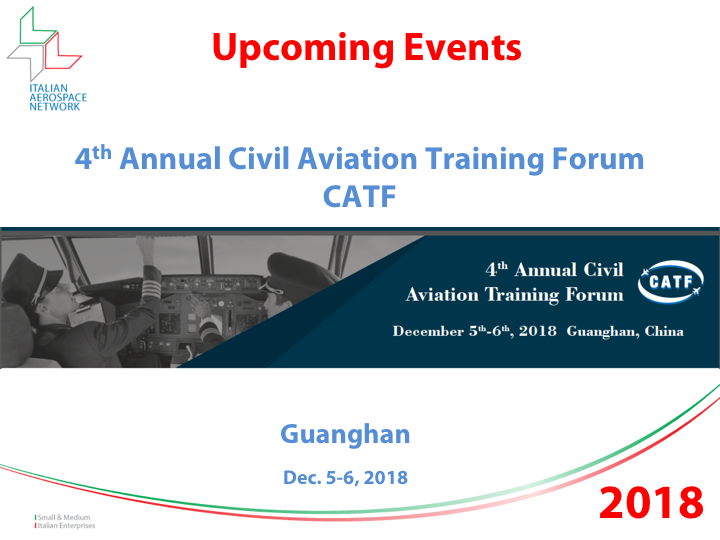 The CATF is a regular annual event hosted by the Shanghai Society of Aeronautics (SSA) along with the Civil Aircraft Operation Support Technology Sub-committee of the Chinese Society of Aeronautics & Astronautics (CSSA), with support from China’s Center of Aviation Safety Technology, CAAC; and produced by Galleon (Shanghai) Consulting Co., Ltd.
– Airliner’s Panel – Listen to Air China Limited, China Eastern Airlines, China Southern Airlines, Hainan Airlines and Chengdu Airlines to join together to discuss pilot training hot topics from the perspective of demand. – Aviation Training Academy Panel – Listen to the Aviation Training Academy, such as Civil Aviation University Of China, Civil Aviation Flight University of China, Civil Aviation Management Institute of China, Beihang University, Nanjing University of Aeronautics and Astronautics, Northwestern Polytechnical University to discuss how to build the bridge between training and airlines operations. – New Technology Application Show Case –Learn how to successfully and effectively use advanced equipment such as Virtual Reality, Augmented Reality, Mixed Reality to enhance aviation training interest. – Policy Influencer Panel – Listen to ICAO, FAA, EASA, CAAC to share the latest policy in global aviation training market. – Global Aviation Training New Concept Sharing – Engage in exclusive group discussion with the famous associations (AOPA – China, IAOPA – the International Council of Aircraft Owner and Pilot Associations) to share the newest concept. – One to one business match making -Opportunities to network with your potential business partners in private customized business talking! A warm welcome to participate to the 4th Annual Civil Aviation Training Forum. If you are interested about this event please full fill the following form to get more info about it.